So I’ve been blogging for a little under 4 months and I’ve had a fair few compliments on my photography, some from you guys and a few from companies that have wanted to work with me. I don’t in any way think that I am an expert in photography, I’m still always trying to improve my own, but I thought that I would share my tips and show you my current way of doing things. I know a lot of people don’t feel very confident when it comes to taking photographs and I thought that this might help you out a little! I also really enjoy reading other bloggers posts on how they take their photo’s and showing what backgrounds and things they use, so I thought that I would do my own in the hope that some of you may enjoy reading it. I recently reached out to another blogger to ask for some help with something blog related and they replied telling me that they wanted to keep it “confidential.” I understand that some people want to keep things private, but this really wasn’t something that you need to keep private at all and I thought it was rude in all honesty. We should be helping each other out and helping others to grow their blogs! This is why I really wanted to do this post, if there wasn’t other blogs that I enjoyed reading, I highly doubt that I would be a blogger. So I just want to give something back to my readers, I suppose. Now, what actually gave me the inspiration for this post was my new camera that I bought yesterday. For the most part of my blogging photography, I have used my dads DSLR as I have never owned one myself, but yesterday that changed, and I went and bought myself the Canon 700D (see above.) 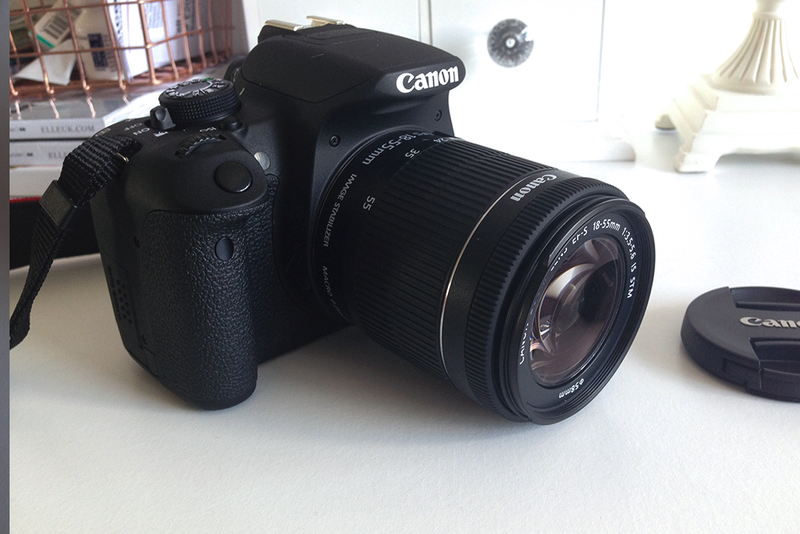 I absolutely adore it, it’s so lightweight, it’s pretty, and it takes amazing photographs! A lot of people say that you don’t need an expensive camera to take good quality photos, and in some cases this is true, but I personally think that any photo that isn’t taken on a DSLR, always requires so much editing to make it look good. Whereas on my camera, I hardly edit the pictures at all, a bit of brightness and contrast and a slight filter to cool the photo down and that’s it, the pictures are pretty perfect on their own. I’ve always been lucky and have had access to a good camera, as both my parents have one, my dad has a Canon 70D and my mum has a Nikon. But before I got this camera yesterday, when I’ve been at uni and not had access to a good camera, I’ve just used your average digital compact or my iPhone, and yeah the pictures have been alright. If you use them properly then you will get good enough photo’s for your blog without a doubt. I just personally prefer the quality of the pictures that come off a DSLR, but I’m a Graphic Design student, so I’m very picky in that sense. Having said that, the above photo of my new camera was taken on my iPhone 5 and it’s pretty decent right? It’s all down to the white space and natural lighting, so it just shows that you can use even your phone! I use Photoshop CS6 to edit my photo’s, but you can get some really good free programs nowadays that do exactly the same job. Adobe Photoshop Express is all the basics of Photoshop, free of charge, you can use it in your browser or download the app. Some others include, Gimp, Pixlr & PicMonkey. You can also use the endless amount of free photo editing apps that you can find on the Apple app store. Just sync or email the photos to your phone or whatever, do your stuff, then sync them back to your laptop and boom, edited pictures ready for your blog. I would suggest not adding really obvious filters to them, I mean if that’s your thing then go ahead, but I think that pictures look a lot more professional if they’re just nice and bright and crisp, with natural lighting. I absolutely hate using flash, I hate the way it makes pictures look, I think natural lighting is the best and I always take advantage of a bright day and open my curtains to let in the most light, but that’s just me personally. I can guarantee that natural lighting will make your pictures look fantastic though, whatever device you use! For backgrounds, I have had endless searches on eBay for affordable but pretty backdrops and samples that would add something fun to my blog pictures. If you read my blog often, you’ll probably see that I like to go for a lot of white and I like my pictures to be quite simple so that they focus on the products themselves or whatever it is that I’m reviewing. I think it helps them to stand out more, but some people like to add a lot of props and make a colourful and busy photo, and that’s fine, I like those too, they just don’t personally fit in with my personality or my blog. When I first started blogging, I literally had nothing nice to use as a background, I lived in my tiny uni room in halls and I had a huge desk that took up half of the room but it was just an ugly yellowy cream colour that I didn’t particularly want to use. 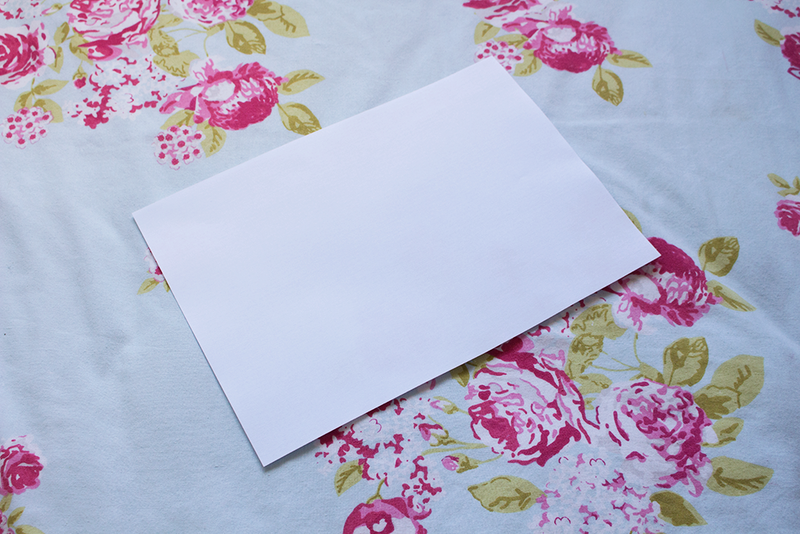 This is when paper came in handy, just a simple piece of white A4 paper can make the perfect background. I actually used A2 paper which is miles bigger, but I only had that on hand because I’m a design student. 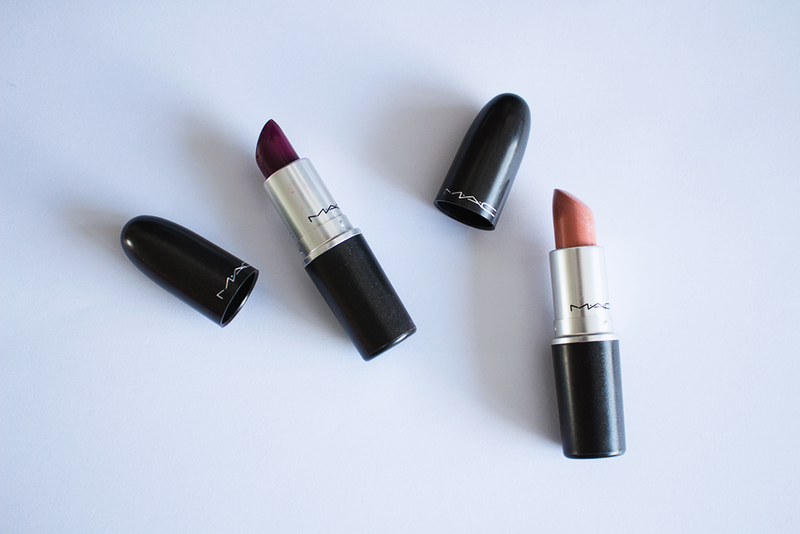 A4 does exactly the same job, just it’s more suitable for small products like lipsticks and things. There’s always a way! 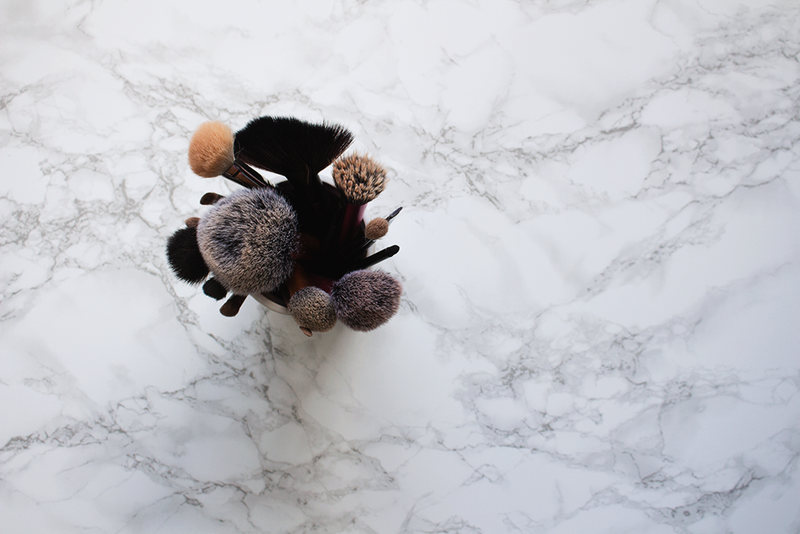 I think everyone has seen this marble background some place or another, marble patterns are pretty popular amongst bloggers. I got this sticky back marble vinyl from eBay for fairly cheap and I got my dad to cut me a large slab of wood that I stuck it to, and it creates the perfect portable table top to use as a background. You can get it here. 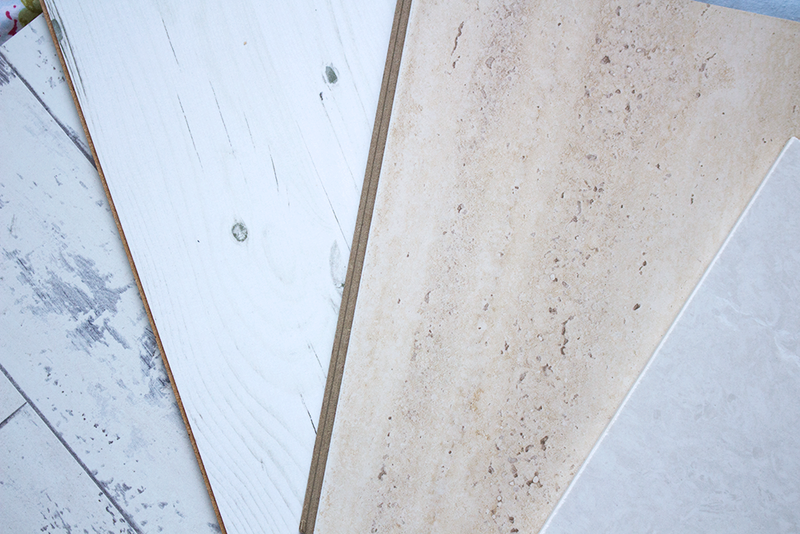 I also use a variety of different flooring samples, you probably won’t have seen these much in my posts as i’ve been loving just simple white backgrounds lately, but they make pictures look so good. I got a few for about £2 each from B&Q which is such a bargain, they do all kinds of different types, so you’re sure to find something you like. 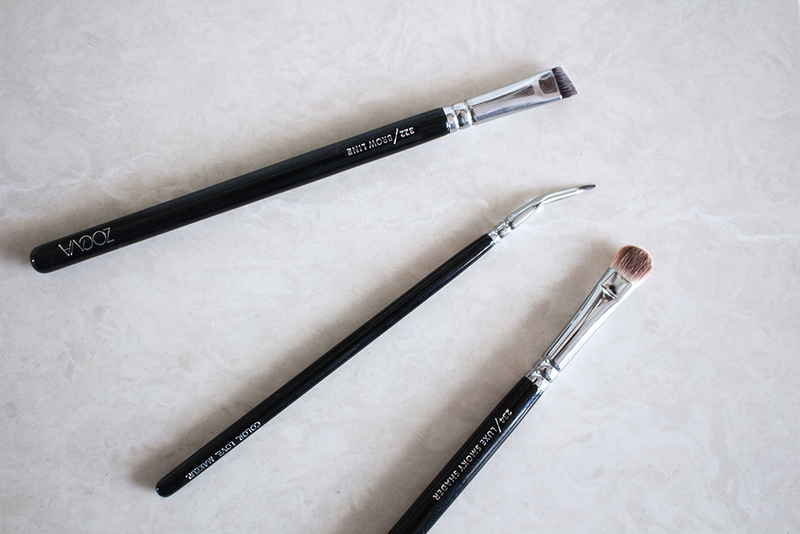 They’re really good sizes too, perfect for taking pictures when reviewing makeup products! You can get them here. 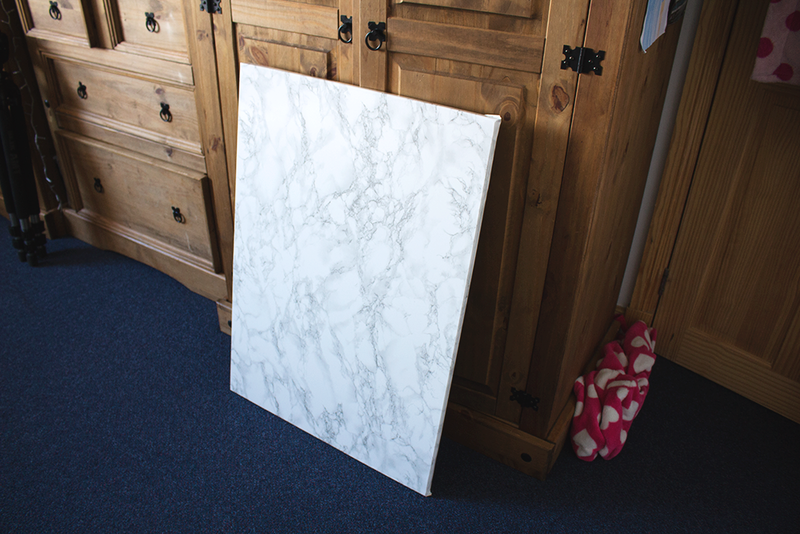 I also bought a tile sample for only £1.99 and free delivery, and it makes such a cute marble background, you can buy all kinds of different samples of tiles from eBay at such affordable prices. 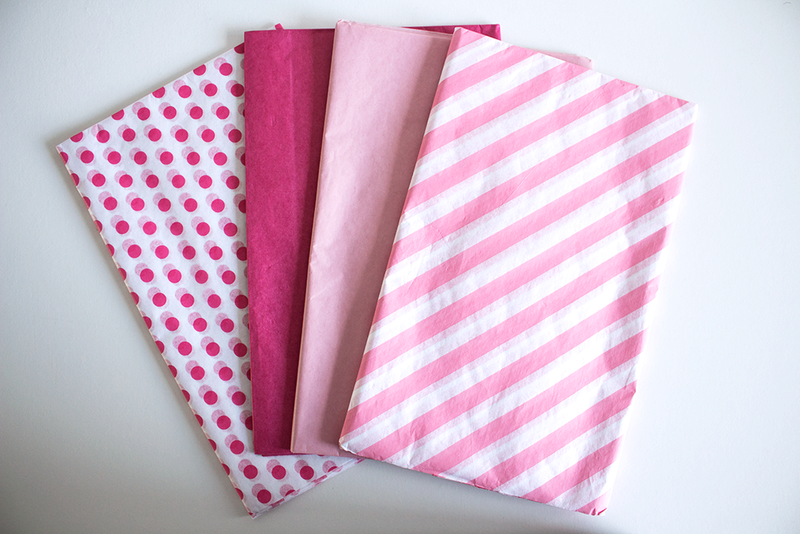 Tissue paper makes for another great background, I got this pink set from Ikea. It’s so simple and easy to get your hands on, but patterned or even just plain coloured, makes such a nice little background. 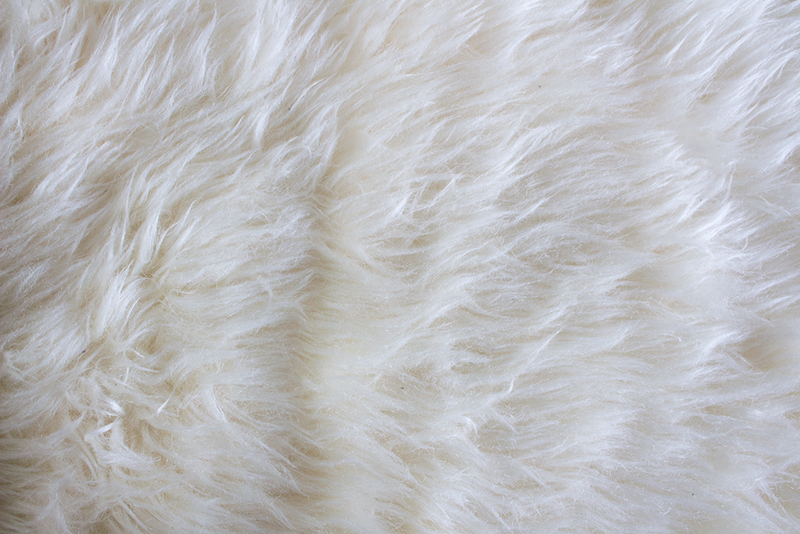 One of my favourite backgrounds that I use is my fluffy cream rug. 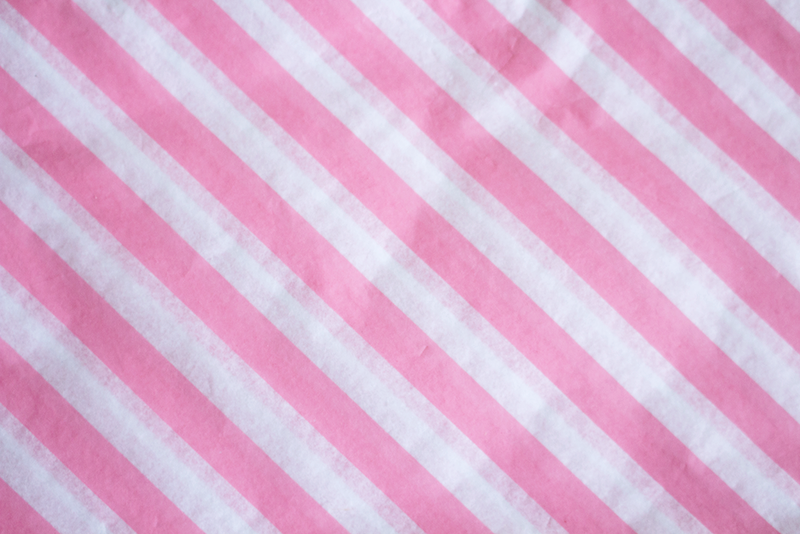 I just think it looks so girly and cute and in a lot of my photo’s it comes out a lot more white than it is in real life, which just looks really nice and gives your pictures a nice textured background. 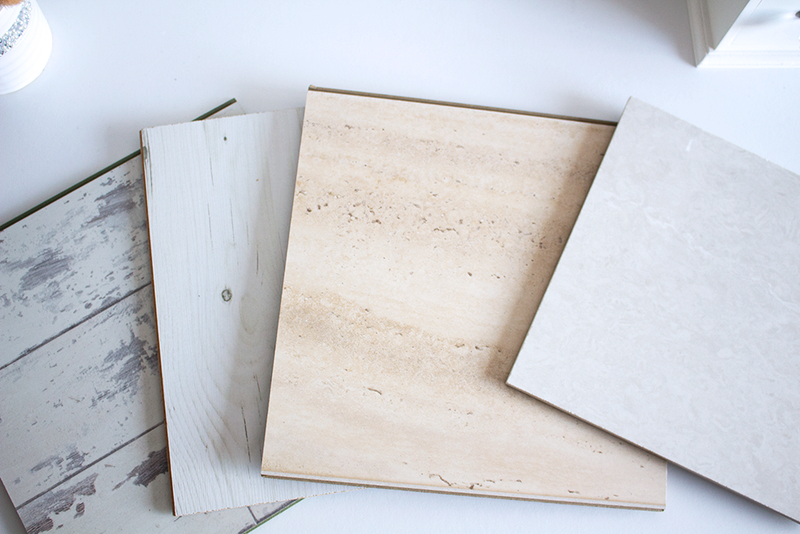 Other backgrounds you can use are materials, simple offcuts of materials make great backgrounds. 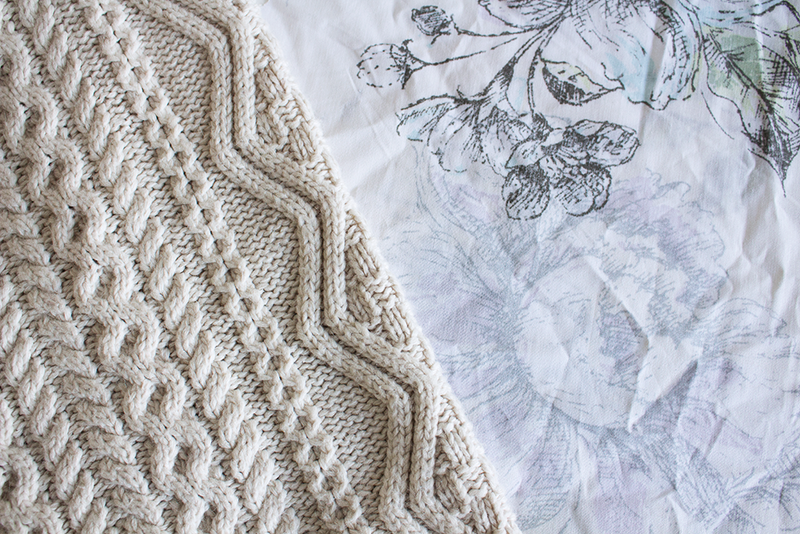 Or you can use clothes you have, I’ve used this cable knit cardigan before and it just adds something a bit different to your pictures! This is my newest (and favourite) backdrop, it’s a huge roll of really thin paper covered in a washed white wood texture. I plan on using it for my fashion posts as it’s something different from a plain white wall, but it makes for a good product background too! I got it here. Props can really make pictures more interesting, even if you just use one or two. 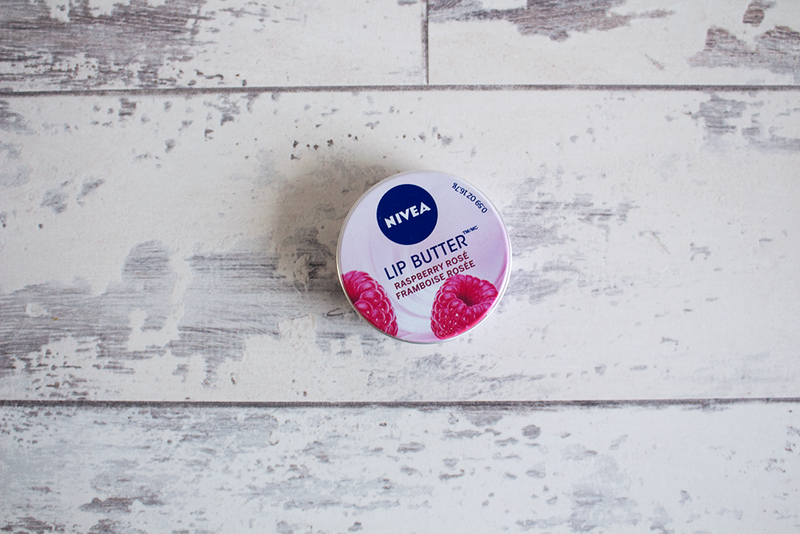 I often only usually use something as simple as a magazine to spice up my blog pictures, as like I said before, I like a simple photo that focuses on the product itself. 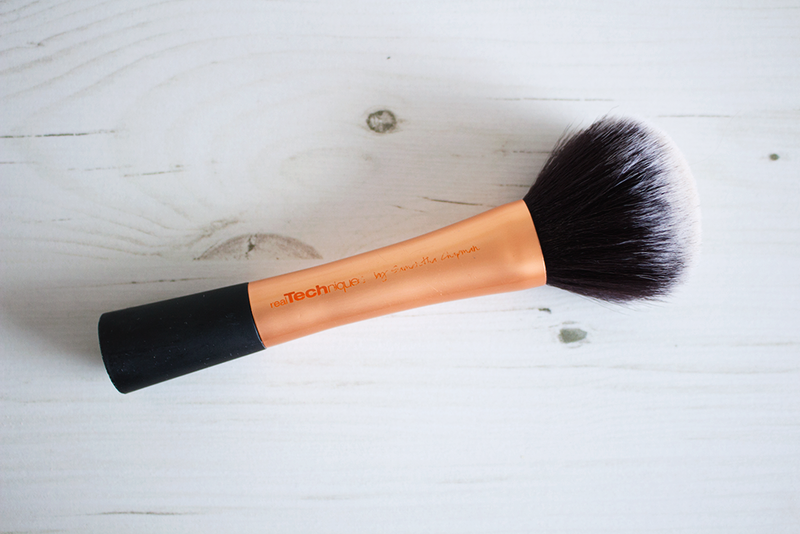 You can use anything as props, even if it’s just your makeup bag or a flower, anything goes. 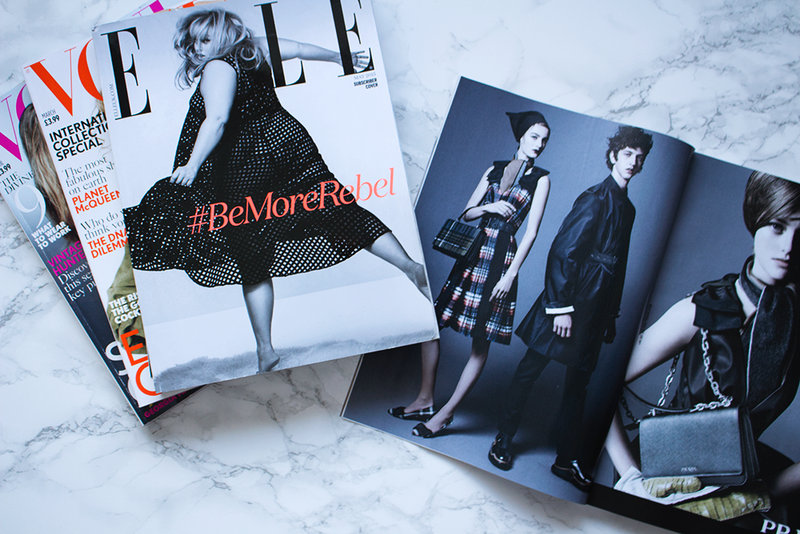 My favourite magazines to use are Elle & Vogue, as well as being great reads for us fashion & beauty lovers, they have so many pretty pictures of models and things in there that make a great prop for your photo. I have a monthly subscription to Elle and it’s pretty cheap, have a look online, there are some really good deals. I recently got this copper basket from H&M home and I love it so much, it’s so pretty and adds a really nice touch to my pictures as well as my desk! 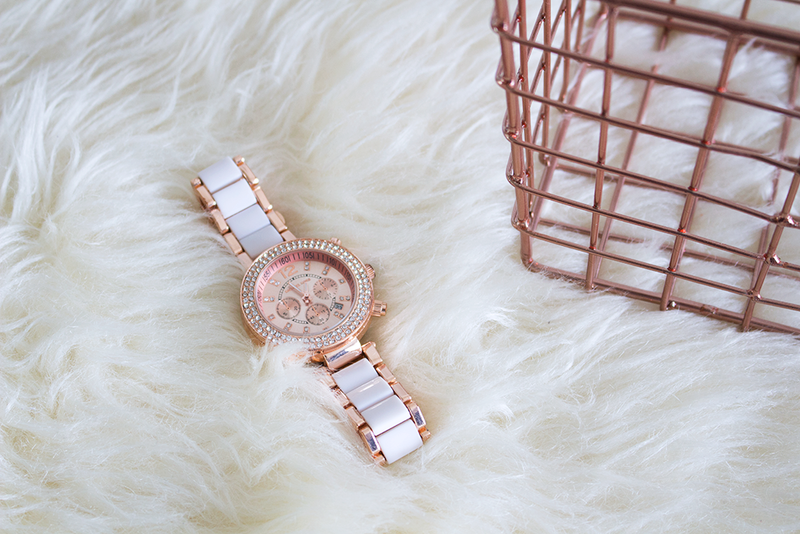 I’ve also used my rose gold watch before as a prop in a photo and it just jazzed it up slightly and added something extra to the picture. 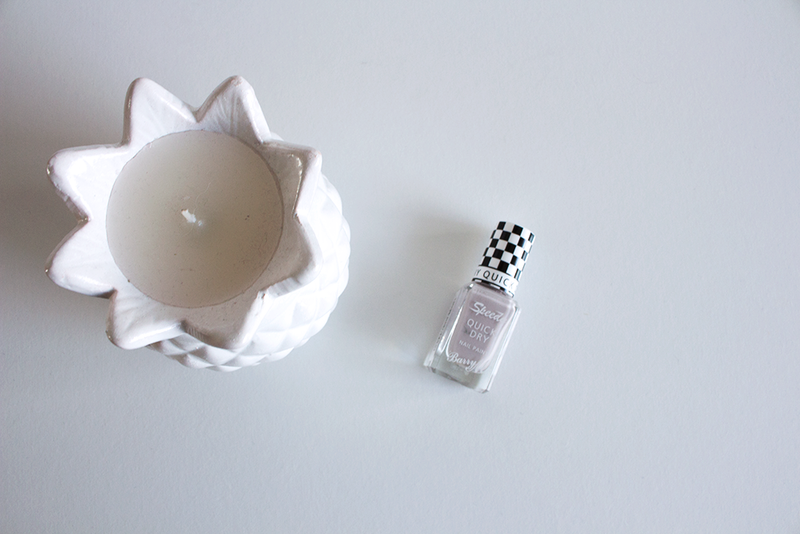 You can also use ornaments like this candle I got from Primark, which was like £2 and makes a lovely addition to my pictures as well as my windowsill. There’s so many different things you can use so just get creative! 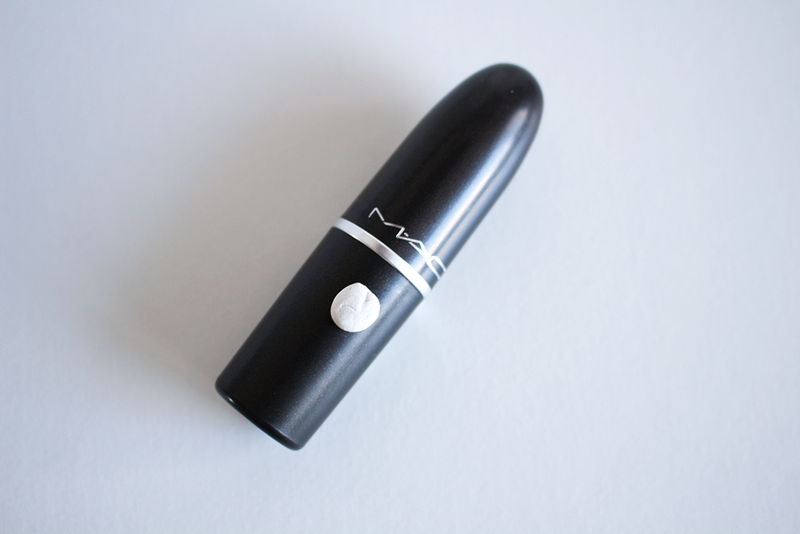 I recently had a problem with a rolling lipstick when trying to take a blog picture, and I decided to put a tiny bit of white tack underneath it to keep it stuck in place and it worked a dream. I just thought that I’d add this in incase anyone has had this problem and hasn’t thought about doing it. I’ve had this problem so many times and the idea has only just come into my head! 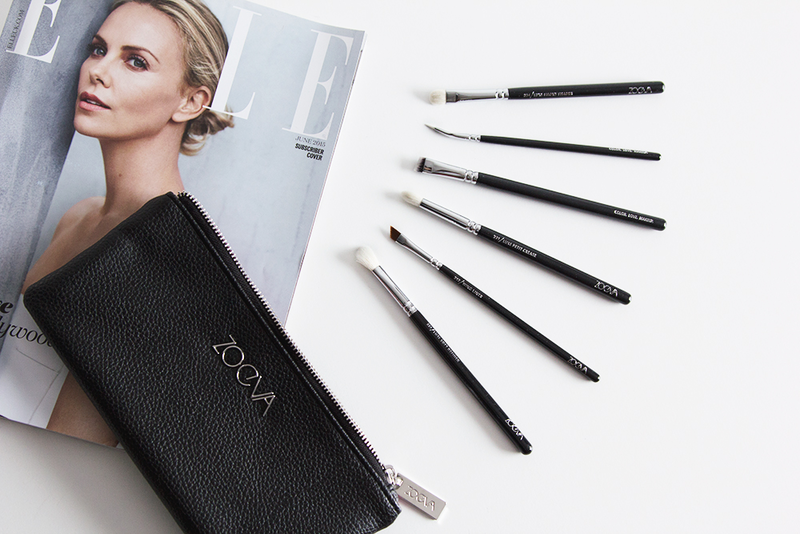 It works for any rolling object, lipsticks, lip liners, eyeliner pencils, anything! I hope this post wasn’t too long and helped you out with your own blog pictures a little. 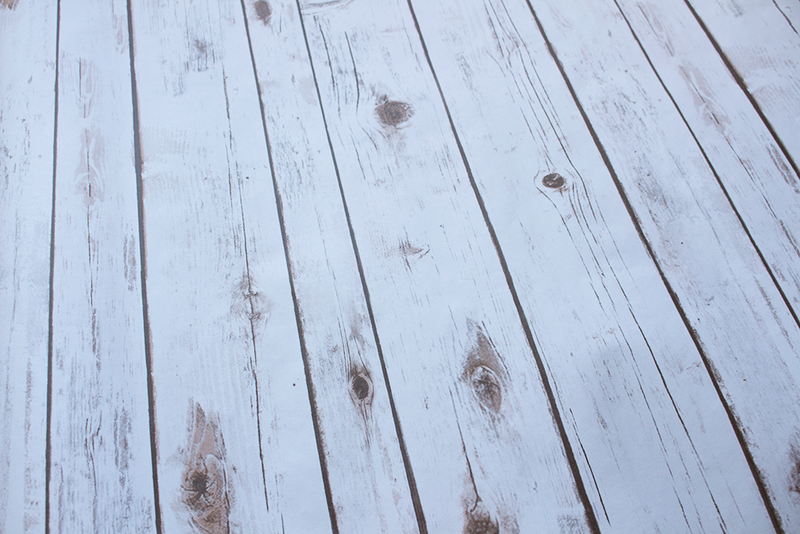 Everyone’s blog pictures are going to be different, that’s what makes your blog yours. 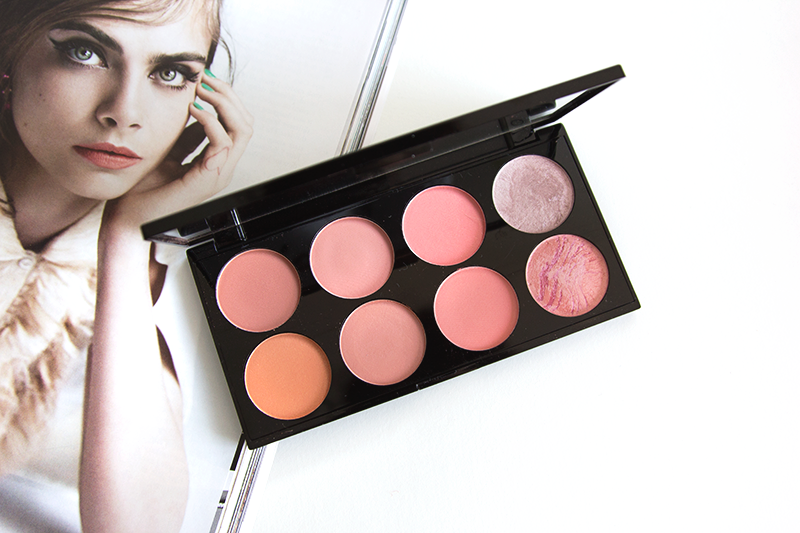 Next ArticleMakeup of the Day | Featuring My Mac Palette!